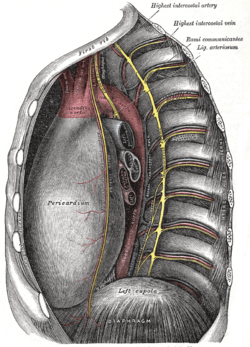 The pericardiacophrenic artery is a long slender branch of the internal thoracic artery. 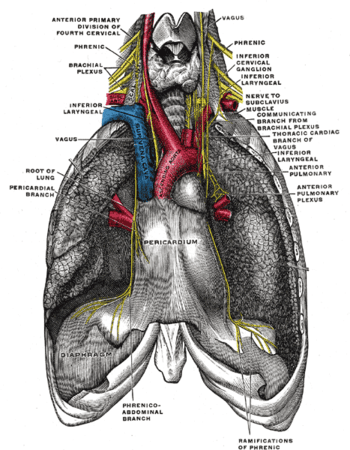 It accompanies the phrenic nerve, between the pleura and pericardium, to the diaphragm, to which it is distributed. It anastomoses with the musculophrenic and superior phrenic arteries. Anatomy photo:19:11-0104 at the SUNY Downstate Medical Center - "Pleural Cavities and Lungs: Structures Beneath the Left Mediastinal pleura"